Hello, I just want to let you know that this Cakewalk Home Studio Version Two is the best software I've ever used.So far I have several Cakewalk programs in my home studio and three Image Line Fruityloops programs, all of them are very good depending on the reference.What's so good about Home Studio Version Two are the extra features that are unlike the original Home Studio 2002: ASIO hardware driver support, Propellerhead ReWire, VST adaptor, reverse effect and others.Put it together with Fruityloops and Reason and you're ready to do crazy stuff!All you have to do is to have a computer that is built only for audio recording/MIDI sequencing: AMD or Intel microprocessor, 256 or 512 MB of memory, two hard disk drives, a motherboard with a stable chipset (Intel; VIA; nVidia), and a Sound Blaster soundcard or any professional audio/MIDI interface hardware.It is good to read the manual (both hard copy and on-line) so you know what you are doing as well as taking your time using the software and to experiment.the possiblities are almost endless!Even though I havn't used the software as much, it is still very good for anyone who can have a good start recording music on th computer and getting down and dirty if you know what I mean!It is more likely the affordable, slightly less-featured version of Cakewalk SONAR 2.x and 3.x Producer Edition.It's available for Windows 98/ME/2000/XP which is great for those who may not want to upgrade to the current operating system, like me; mines are Windows 98 SE and ME.I wanted to give this software four and a half, but there are no halves in between which made me stick to five anyway.This software is the best! 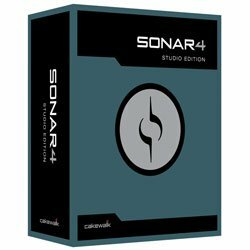 This software is simply the best in its price class for home recording. Version 2 is newer than the 2004 version. The main difference is a VST adapter is now included. I have already recorded several songs with multiple tracks, including MIDI and audio. I have also used the VSC DXi software synthesizer with great results. I applied effects on several audio tracks. They are very easy to insert and setup. I really like the amp simulator, chorus, flanger, and reverb. Record a guitar, add some effects and you won't believe the difference! And all with no noise. I recorded from my MIDI keyboard and played my MIDI drum machine and keyboard from MIDI files with ease. Tutorials and on-line help files are excellent. It also comes with a 75 page getting started manual. I am using an AMD Athlon system at 750Mhz, 256MB memory, SoundBlaster Live, running Windows XP Home Edition. 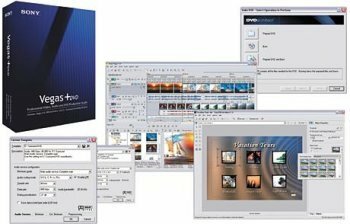 The LP and Tape to CD Conversion Software Suite is the easiest software package available at any price for converting your valuable records and tapes to audio CDs. 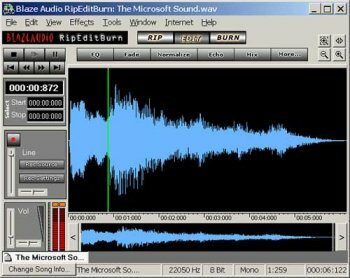 RipEditBurn - Powerful all-in-one wave & MP3 editor, CD ripper & burner. Record Cleaner- gives you better sound converting records & tapes to CD by eliminating pops, clicks, scratches, power hum, and hiss. Cleans noisy recordings easily and automatically. 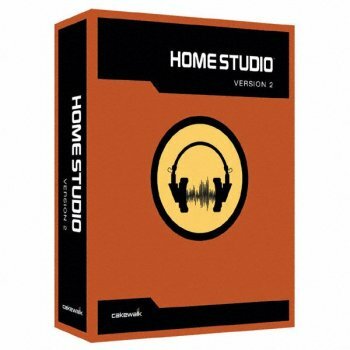 Cakewalk Home Studio 2002 frees you from dependence on studios and technicians so you can do your digital recording from your desktop. 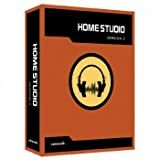 With support for 24- and 16-bit audio, real-time DirectX effects, DXi software synths, MIDI FX plug-ins, and ACID-format audio loop technology, Home Studio 2002 turns your PC into a multitrack recording studio. I have a full review below.Just wanted to add something else. Home Studio XL in Windows 2000 gives annoying little problems that force you to stop your flow (in some cases for as long as 5 minutes when it crashes and you let windows 2000 sort everything out on its own). Every problem in the full review pertains to working in windows 2000. However, on windows 98, its smooth sailing.I never had a problem with it while working in Windows 98. I purchased this item in spite of the warnings about how difficult it was to learn. It is indeed difficult. The tutorials are detailed, but regretfully silent on some key issues. I had to search the web for solutions to some problems I had in getting it to run on my laptop computer. The solutions simply involved toggling some options in the pull down menus, but I'd never been able to stumble onto the fixes without investing a few hours in searching the web for advice. I still can't get the chorus and reverb options to work on the mixing board. Oh well. Nevertheless, there really isn't anything else like this product -- especially for the price. Powerful tool, on a budget! I have read the review above from the guy who says that Cakewalk Home Studio stinks, and cannot disagree more. True, you do have to learn how to master the tool before it will perform optimally, but what's the alternative? You either learn how to do it, or pay someone to do it for you. As a musical nerd/geek, I use Home Studio a LOT. I have produced my own music as well as that of others, and for the price you simply cannot beat it. Unless you are a complete weiner, you should be able to figure out how to use the software. Go on, by the software and start recording...You know you want to! Software sequencing is not as easy as some might think. It takes a bit of getting used to and reading up on midi, recording audio and mixing. All of this is available on the interent for free and for a person new to home studios it is an excellent supplement for ANY sequencing software. One area where Cakewalk and other "linear" sequencers create difficulty is when comparing to audio based programs like Acid. It doesn't get much easier than Acid....until you want control that enables you to add your own sounds while playing in which case you'll need the Pro version which while more capable is still not meant for using with midi in any significant way. 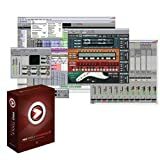 Home Studio 2002 is an outstanding bargain. You get a couple of direct x synthesizers aka DXi. They are simple but effective enough to get the user started in software synthesis. Partiuclarly Dreamstation is useful for analog style timbres and the Virtual Sound Canvas is acceptable for traditonal sounds that will play standard midi files. The audio system is dead simple and requires about an hour to get help through the Cakewalk bulletin board or several other music related sites. Cakewalk's manuals are drab but have the information necessary to get you started. Third party books are common for software. They cut to the chase and do not have to spend the laborious time explaining the entire program. They get you going and then you continue learning with a decent knowledge of the application you are using. Feature wise you get 80% of the much more expensive Sonar program which adds a beat slicing and sequencing DXi, Rewire capability (for programs that can be synchronized in sample perfect time, some include Reason, ReBirth and Abelton LIVE) and several direct x effects. It's ability to use Acid loops and to save loops to the format makes it especially good for remixers and for those projects that needed a bit more instrumentation but survive as audio tracks. In terms of value for money this is an incredible deal. 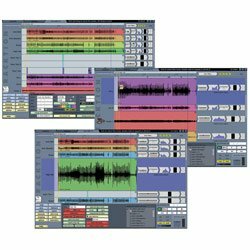 There are a couple of contenders but they are nowhere near the capability of Cakewalk Home Studio 2002 which is good enough to create professional tracks. 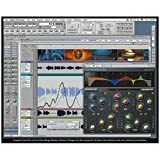 Considering the professional quality plugins available for instruments and sound/effects processing nothing at this price point is close. 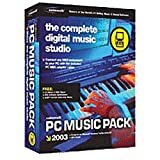 Maybe the price of so much flexibility is a little extra work but that becomes a question of whether you need to work immediately or can take a day or two to master the most important aspects of the program so you can lay down tracks and midi takes. Pass on Cakewalk Home Studio if you are looking for instant gratification. 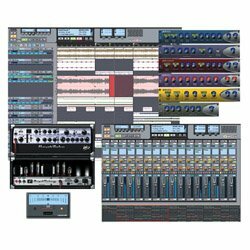 Buy it if you want a taste of the pro-studio at a fraction of the cost. Man Cakewalk Home Studio 2002 comes up strong! If you're looking to purchase HS XL because of the DR-008SE (by FXpansion, then I suggest you don't.The DR-008SE is extremely buggy, and frequently (as in everyday) crashes and brings HS down with it. It's a terrible nuisance!Absolutely horrific that such software was packaged and sold.I think it was just an incentive to get people to buy the pro or full version- the DR-008.Also, if you've used the DR-08SE in a project, it always says that it cant find the audio file and you have to listen to this for EVERY wave file that is used by the DR-008SE.It doesn't take long to get sick of this.FXpansion offered no solution to this when i posted it on there message board back in November. Awesome.I upgraded after being an expert with HS 7 (toot-toot).I think the new features I use the most are the Envelope which let you ï¿½drawï¿½ how certain parameters change over time, like volume (Itï¿½s a vast improvement over recording the parameter changes into the track as in HS 7), audio exporting, like to .wma, .wav, and .rm.In HomeStudio XL, you can export a limited number of .mp3 files with this trial software.Also, augmented in this version (at least from an ex-HS 7 userï¿½s perspective) is the fine-grain time.A note used to have 120 places within a meter where it could be placed.Now it has (wait let me checkï¿½) 960!Funny, thing is, Iï¿½m so used to 120, that is difficult to get calibrated to 960 when reading the note start times.Ah, but HS is a sympathetic app and allows you to choose how fine you want the time to be.The gamut is from 120 ï¿½ 960.Iï¿½ve been working with 360 lately. One of my favorite new features is Groove-Clip looping.With it, you can take any piece of audio (either recorded or imported into your project/song) and delimit it using a window that makes the audio part youï¿½re looking for pretty easy to find.You adjust the beginning and the end of what you want looped over and over again in a non destructive manner until youï¿½re sure youï¿½ve gotten it (you can play the delimited audio from within the window to test your loop).Once youï¿½re happy with it, you then lop off all the audio outside of what you want and whatï¿½s left is called your Groove-Clip.With your groove-clip all set up, you can extend or contract [by dragging] it in either direction (right or left) and it is looped over and over for the distance you finalized it at.MAGNIFICANT!! 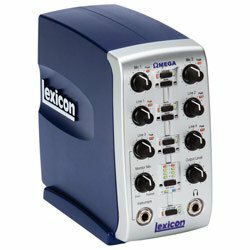 I use it for guitar parts that luckily come out right.The absolutely most used feature is something called, (um hold on a secï¿½) slip editing on MIDI clips.This allows you to silence notes without having to change there velocities to 1 or delete them.This is an INVALUABLE, and a Welcomed augmentation. For some reason, they moved Normalize Audio, and 3db louder and quieter operations off of the context menu for audio and kept it in the Edit->Audio menu section. I have to assert that this is an excellent program for learning to compose with. It comes with tutorials that will get you up and running fast.The online help is very good too.I canï¿½t say that there has been an instance where I couldnï¿½t find what I wanted (not many anyway - I can say with certainty).Its user interface is so easy and it looks nice.You can mark parts of youï¿½re song such as "Guitar Solo" or something) and navigate them quickly in 2 different ways.One takes you there immediately while the other steps you through marker by marker from where ever you start.Recording is like a 2 (setup and record) step process, which is good seeing as how youï¿½ll be rerecording a lot.Recording can be stepped up and specialized at the cost of maybe 2-4 more steps that you only do 1 time for each Different time period of the song you try to record in.Most often I use punch-in recording when specialized recording is required.This allows recording only during a time period you set.You can also set whether to record over existing notes or in addition to them. 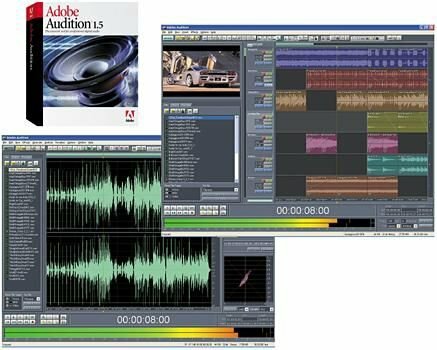 There is non-destructive editing of both audio and MIDI clips (clips are sections of notes or audio).You can import audio, export audio, and add effects to midi and audio tracks like a distortion to audio tracks that sound good. 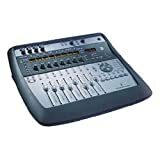 1-Sometimes Home Studio will playback at some awfully fast rate.Like if you recorded with the tempo at 100 bpm, then playback might be at like 600bpm.Itï¿½s a pain in the neck when that starts happening.I think that only happens when the sound card is ï¿½tiredï¿½, so you should probably give it rest then. 2-To get someone on the phone at tech support takes a long time.A LONG time.However, the person I dealt with was pleasant and put an honest effort into helping solve the problem with the Dr-008se. 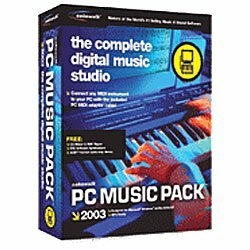 PC Music Pack includes everything you need to connect a MIDI instrument to your PC and start making music. Record digital audio tracks, or add vocals, guitars, or any other instrument to your music. The included Music Creator software lets you quickly edit, mix, and save your music--even export audio to create your own MP3s and audio CDs. It's easy to use the keyboard or other MIDI-compatible instrument to record. Simply plug into your computer using the enclosed PC-MIDI adapter and start playing. 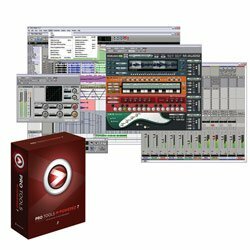 Full-featured MIDI/Audio recording & editing at an exceptionally low price. Realtime Time Audio Stretching & Pitch Shifting. ACID File support. Loops follow tempo in realtime. Intuitive Play Order Track for creative pattern-based arranging and retriggering on the fly! Play Order Track for pattern-based arranging; retrigger preset sections on the fly for "remixing"